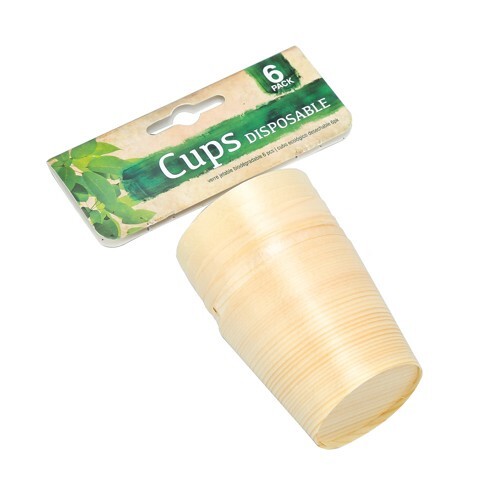 Disposable Enviro Sml Cup 6Pk. 6 x 6cm. Natural Timber. Pine. 18g Packaging: OPP Bag with Header Card.